I'd trade a CB copper for a 2 gen silver. Not a firegem though - IMHO THAT's the least valuable item there. How rare are CB Purple Siyats? Thinking of using them to ask for the first line in my sig, wondering if I’m suffering delusions of grandeur. Are they about 1:1 with CB Xenos, otherwise? Personally, I wouldn't rate them that highly, though I don't know about other people. They're easily obtainable, just a hassle. They're no harder to obtain than the other colours, just more time consuming. For that reason, I'd rank them on par with 3ish CB common hatchlings or a CB uncommon-ish egg, but I wouldn't pay as much as a Xeno for one. I suppose it depends on how much people can stand to give up an egg slot for a few extra days. Is a Chicken + Cheese a fair offer on a CB Silver? Or is too low/too high? I don't think a Chicken and Cheese are enough for a CB Silver. I'd expect to pay a bundle of unbreedables if I wanted a CB metal, personally. I'd suggest - try it. Sometimes one gets more than expected, sometimes one gets less - after all, each egg is worth that what someone trades it for. And who knows - maybe someone with a CB Silver just wants the Chicken+Cheese right in that moment? Ok, I'm a bit out of the loop. What are CB Aeons worth nowadays? Can I get one for a CB Gaia? More than one? Also, are Gaias (and Chronos's) still at the level of coppers, or have they dropped? I'm also wondering about pyralspites. I know almandines and spessartines have (finally!) become more common, but how much? Looking at some trades it seems like pyropes are actually the most valuable of the three at the moment, is that true? EDIT: Oh right, no view links. So I've got a gen 3 nebula from a very mixed lineage. It has to be worth something, right? If you had a CB Gaia and you were looking for Aeons, I think you could possibly get two, yes. Try hatching the Gaia and asking for Aeon eggs and I'd say that's a pretty fair trade. Gaias and Chronos might be worth a brown Copper at the moment. Coppers don't seem to drop as often, but the older the breed, the more likely people have already got their scroll goals and they might be willing to trade for a newer one, even if it's slightly more common. I'd consider brown Coppers and Gaias/Chronos about equal. I've been seeing these guys a lot more frequently lately. I'm not sure which would be the most valuable since I'm not trading them myself, but Pyropes have typically been the easiest to get with the lowest value. When I see them, they tend to sit in the cave for a few seconds before they're grabbed, so I don't think they're too difficult to grab. Personally, I don't even bother when I see them anymore because the last few I've had haven't really traded for much. You should be able to get one for a CB hatchling or two. You can post lineage links if you want to show off a lineage. Just replace 'view' with 'lineage' in the URL. I had a look at the Nebula on your scroll and I'd say it's probably not worth much unless you want to hatch it and someone's looking for a Nebula to freeze. People tend not to be as interested in lineages like that because they lack a clear pattern and therefore aren't easy to continue nicely. Try hatching it first, though. Hatchies are much easier to trade. You could probably then trade it for another uncommon dragon with a somewhat messy lineage. @StormWizard212 Thank you, that helps! My best guess after watching the trading hub / threads for a while would be that she is worth something (whatever they are willing to pay - but not likely CB silver/gold/ND/2G prize) to sb who likes long lineages with mixed SAs and Thuweds. I think what makes this potentially harder to trade, and ultimately worth less, is the fact that the first generation isn't exclusively Thuwed pairs, or spriter's alt pairs, or CB Prizes. It's a bit of a mixed bag, which means you might struggle to get offers you're interested in. From what I understand, most people want consistency in the first generation so they can use the dragon as part of their own breeding project. Since it has hatched, you might get a bit more luck finding someone who's interested! 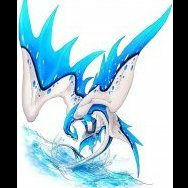 For now: how much are Unbreedables worth in your opinion (aside from another unbreedable)? I usually trade them for 2 or more low-time hatchlings, and doesn't have to be CB since putting CB as a restriction seems to make the trade significantly less affordable (yet, somehow there are people out there who gave me CB hatchlings anyway). Laryal, no they would't be unfortunately. Awww ok then will not trade i do have silvers an golds but they are like 10 gen an i know they will not be either thanks. NDs are difficult to trade for. You really have to have CB golds/silvers or 2g prize. :S Considering they're the rarest things on the site, if you have one they fetch a high price. Check out forum games, there's an ND raffle going on right now, you might be able to win one! E. g. dinos in the colours blue/purple are often worth more than a red one (except if sb is looking for that one specifically). Just keep in mind that this is just my opinion and others might see this very differently. So many things depend on what the other person wants. I wouldn't trade ANYTHING for a dino - I have a full set and there's no point having more. Same goes for cheeses and chickens, though I will grab them if I see them in the biomes. I MIGHT trade for a paper, as they are so CUTE. On the other hand, I have traded pretty 3 gen even prizes and even 2 and 3 gen PB golds, for single commons I needed at the time. The biggest thing is what people want, much more so than what something is "worth". I've gotten multiple 'uncommon' eggs for a Dino (although they were messy, which might've influenced that ability). If I recall correctly I've traded a Cheese (or maybe it was a Paper) for a CB Aeon. I've also traded a CB Copper for a Paper, though in that case it was someone specifically asking for a Copper. In general I've found that Papers/Cheeses/Chickens seem to be traded more often then Dinos, though I'm not sure if that's more people not wanting Dinos or simply not catching them to trade. If they have something you want and you have the time to wait (most people let offers sit for a short or long while) then what keeps you from offering?